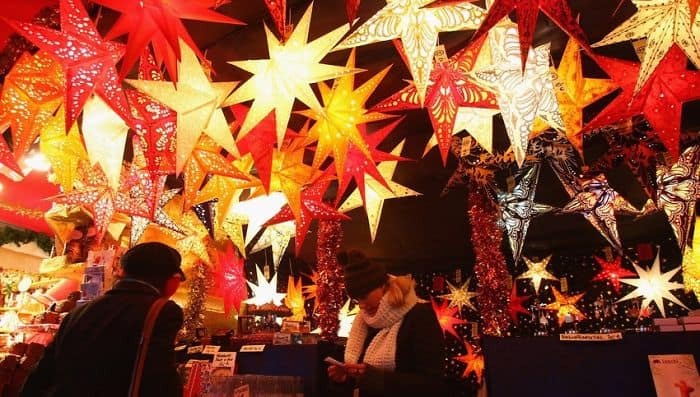 Christmas is on its way, and the incredible festive displays and light shows are already popping up all over the place. 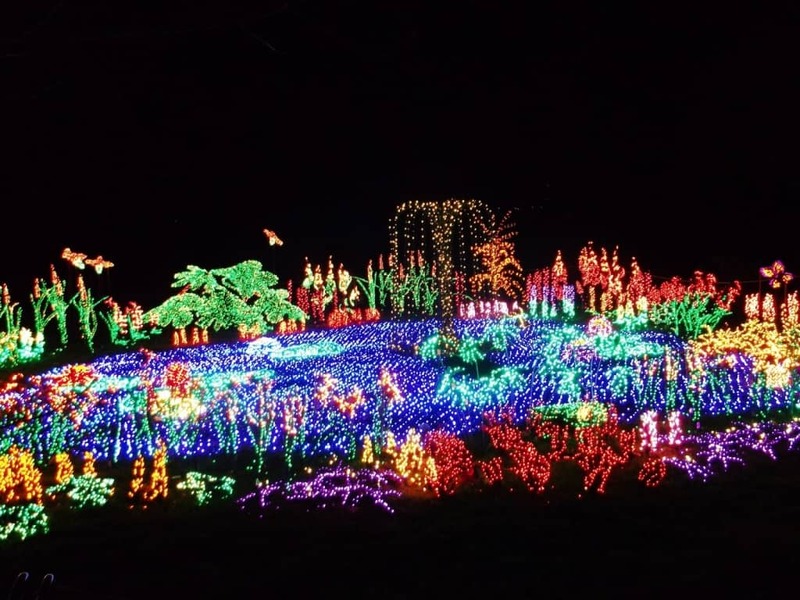 To celebrate, we’ve gathered up pictures of ten of the most breathtaking and impressive Christmas lights from around the world. Pop on some Christmas tunes and get yourself feeling festive. Salerno is a city in Italy, located on the Gulf of Salerno on the Tyrrhenian Sea. 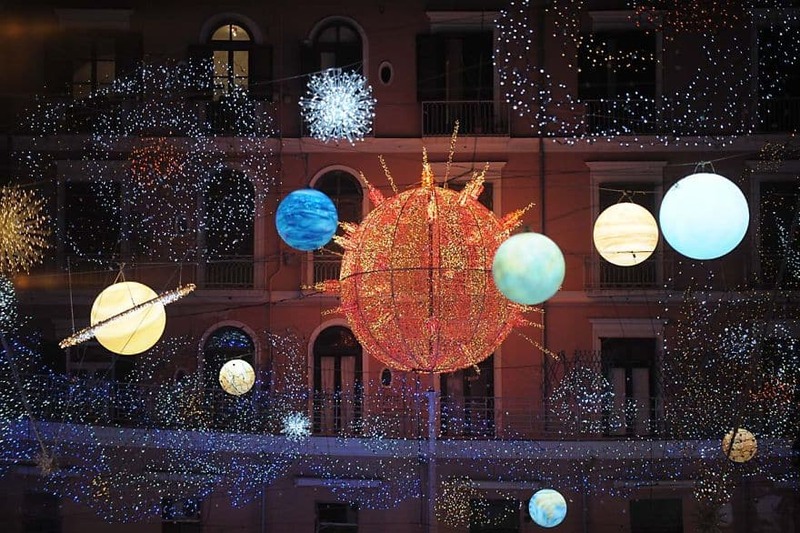 It’s a beautiful place at the best of times, but this Solar System light l display is really something else. 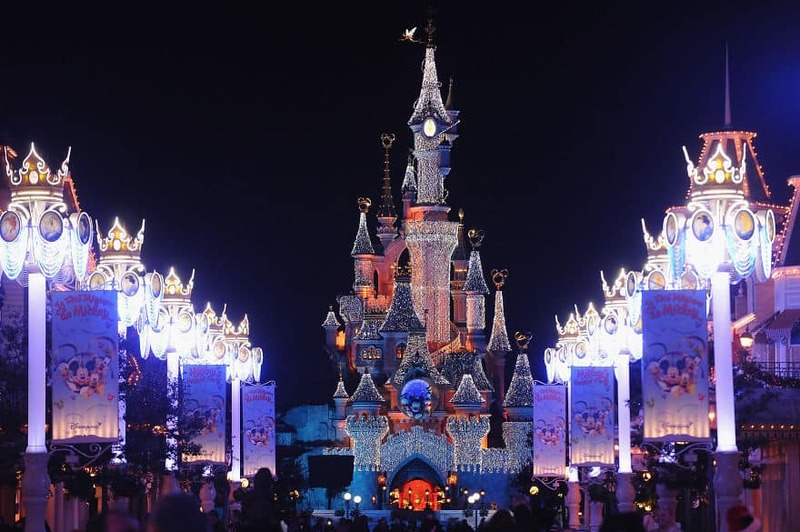 Disneyland is a pretty flashy place anyway, but they really go all out at Christmas. Disney and Christmas. Can you think of a more heart-warming combo than that? 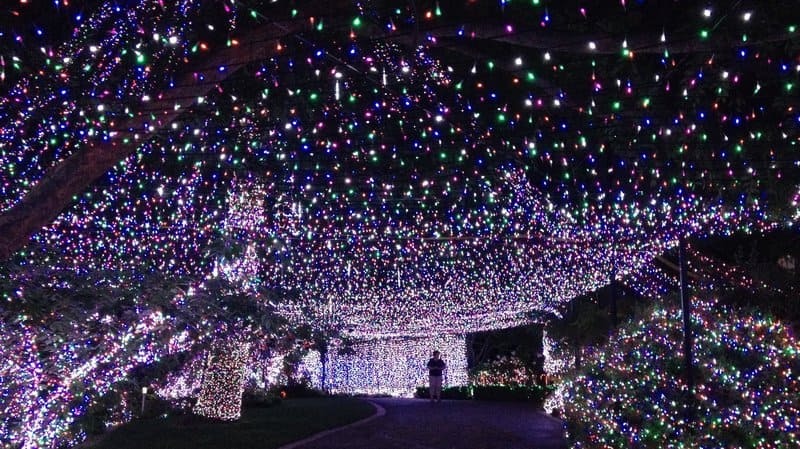 This house in Canberra, Australia actually set a world record for Christmas Lights – the family used over half a million bulbs. 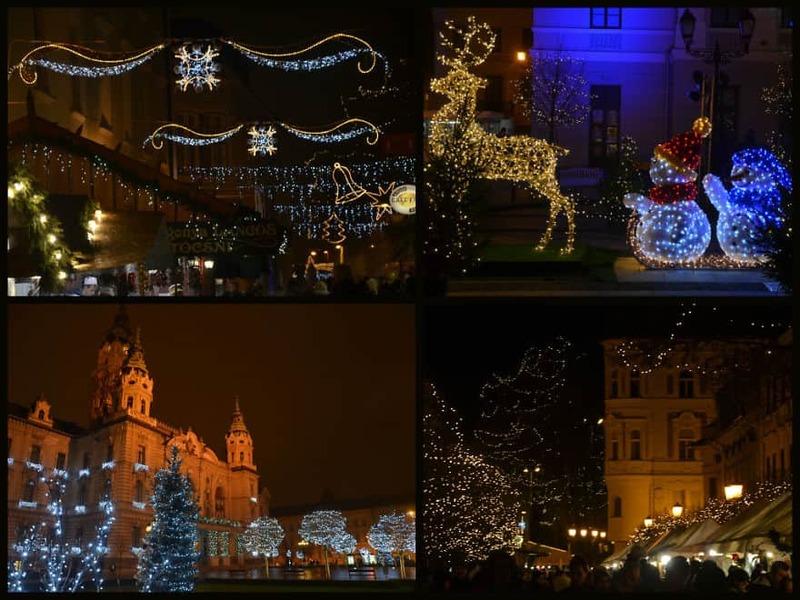 This city in Hungary has a very classy approach indeed when it comes to Christmas lights. This display at a market in Berlin has a real Autumnal feel going for it. Cosy. If you ever wondered what a pond would look like all done up like a Christmas Tree… here you go. 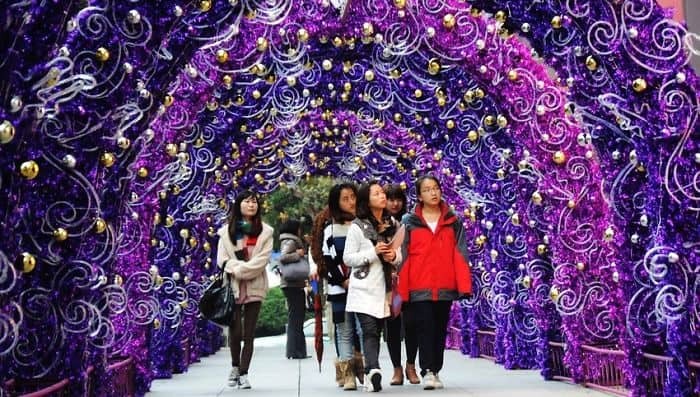 Check out this awesome tunnel of festive love in Beijing. That really is an awful lot of tinsel. 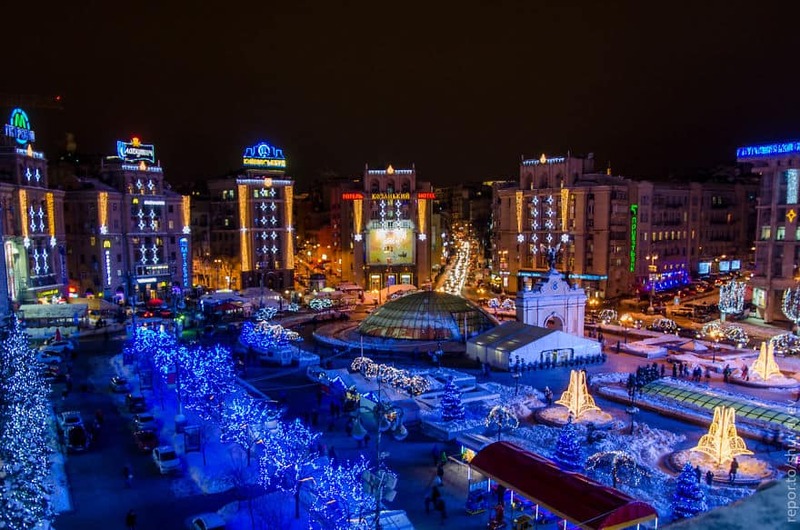 The capital of Ukraine has managed to achieve a wonderful looking Winter Wonderland vibe with this lovely display. And a typically understated effort from the capital of England. Of course there’s an umbrella in there. Very British. 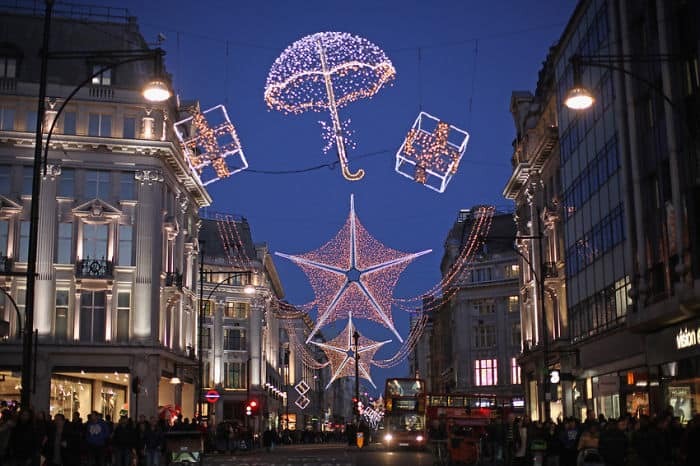 Of course, it would be remiss of us not to share an image of one of the most iconic Christmas displays in the world. 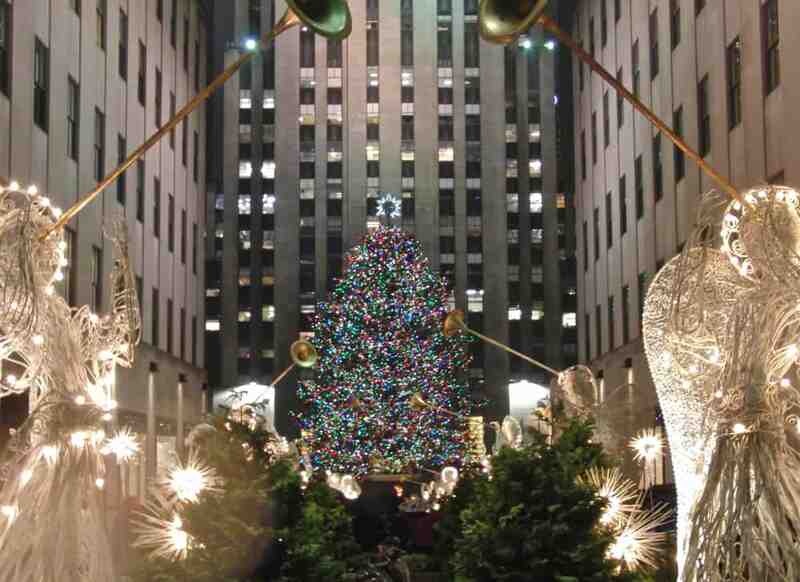 Rockefeller Center in New York City.